So I’ve discovered a minor issue with AutoCAD doing a zoom extents on a layout tab (paper space), where the zoom would inexplicably move the whole drawing over towards the right and sometimes up for no reason. Every time you would zoom extents the drawing would move farther to the right. I’ve verified this issue in both AutoCAD 2012 and 2013. A simple REGEN would fix the issue but eventually it would creep back in. 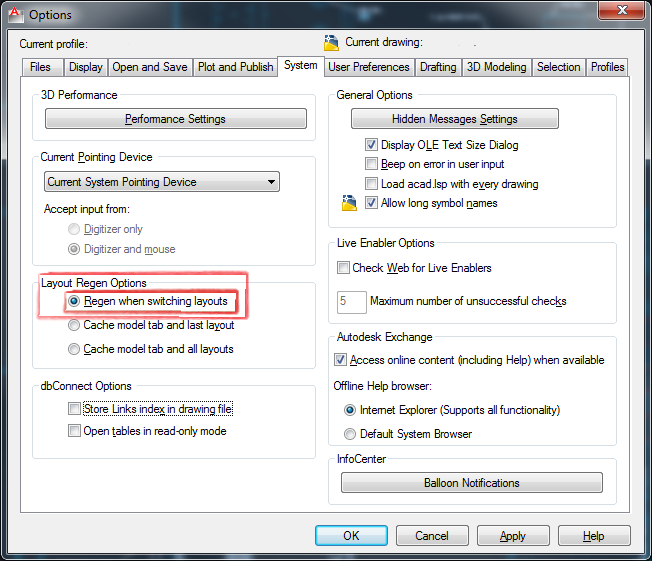 And now you’re set, now whenever you’re switching tabs AutoCAD is performing a REGEN.